Monday’s pick of the week is Roma Designs! This beautiful Sterling Silver collection consists of pendants, rings, earrings, and bracelets! Information about Roma Designs: Our name, “Roma Designs”, comes from Rome, Italy (Roma) which is known as the “Eternal City”. With that thought in mind, we developed our product line. The right piece of silver jewelry, like Rome, will be eternal, and never just the latest fad. Our search for “eternal” silver designer jewelry takes us around the world. We hope that you will enjoy our selection, that we will hear from you soon, and that a new friendship will develop between us. See our collection online – with more pieces coming soon! 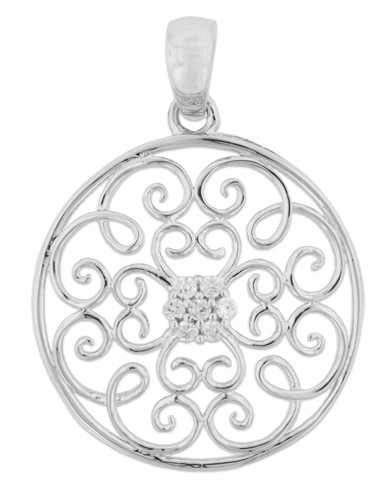 This entry was posted in Jewelry, Pick of the Week and tagged roma designs, silver jewelry, sterling silver jewelry. Bookmark the permalink.